Are you looking for the best gaming mouse that fits your budget? Are you going to use it for FPS, MMO gaming, or, perhaps, both? With a large numbers of reviews and wide selections of gaming mice available online, buying a mouse can be stressful and difficult. The list is updated Dec. 2017. A lot of the time, you may buy a gaming mouse only to find out it’s not so great as it sounded on the Internet. On the other hand, you might be lucky and buy a mouse that exceeded your expectations. The balance between the two is equivalent to finding a mouse that stays true to your expectations. But, if you’re like me, then you know very well how difficult buying a gaming mouse truly is. 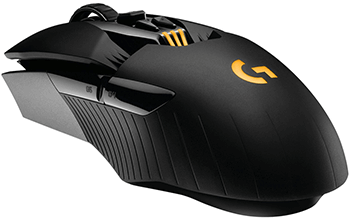 It’s far more than just picking out Amazon’s top 5 products in the ‘best gaming mouse’ category. For those of us who don’t know what matters most in a gaming mouse, it can be a learning process. For others, it might come down to prior experience with a certain company that either keeps them coming back for more or repels them far, far away. 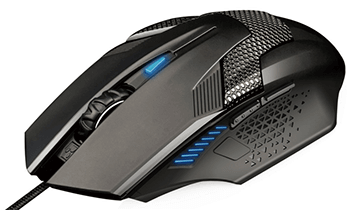 We spend a ton of time and effort on reading reviews, product specifications, product guides, comparisons, forums, and advice from professional gamers, to figure out which mouse is the best one for our specific needs. That’s a good thing too, because the more we know, the less likely we will regret our decision to purchase a certain mouse. But—as I found out through years of gaming and testing out new mice—you will learn that there is more to buying a mouse than reviews and specs. Buying a mouse is similar to buying a car, because certain mice shapes, grips, and sensors will rock your world while others just won’t. Mouse compatibility has a lot more to do with what you, as a gamer, are comfortable with. Comfortability and ease-of-use is unique and specific to every individual gamer. That’s why it’s also extremely important to understand your gaming style, what works for you and what doesn’t. Trial and error, my friends, it’s the rule of thumb for nearly anything these days. My advice is to get familiar with your hand size, your grip type, speed, and any habits that might conflict with a certain mouse. Remember, your goal is to find a gaming mouse that will work for you, not against you. In this article, we bring you a list of the newest gaming mice in a variety of price ranges. To keep up with this definitive list of specs of the best mice on the market, we have decided to update this list EVERY MONTH so you can stay informed and make the best decisions regarding your new gaming mouse. Everyone is aware that quality and price go hand in hand. You pay for what you get in this world, and we either learn that the easy way or we learn it through years of failed, regretted purchases. But, that’s not to say there isn’t a good cheap gaming mouse for you. Hey, we get it, you aren’t rich like your spoiled friends and you just want to improve your gaming experience. If you consider yourself a budget-minded gamer, then keep in mind that you won’t have the highest quality mouse but you will have the best mouse for the cheapest price. Take a quick peek below to see our list of some of the best budget gaming mice you can buy for $20 or less. A cheap mouse, unfortunately, most of the time also means that the quality isn’t the number one priority, but don’t let that stop you from buying one of these mice if you’re truly on a budget. Our short-list was handpicked by some of the most experienced gaming and technology gurus around, to ensure that you get the best mice for the cheapest price. That being said, the criteria for this list accounted for durability and, also, having several notable performance features that make it more than your average office mouse. If you are willing to spend just a little bit more, take a quick look at our list of the best mid-range mice. The difference between a mid-range and entry-range mouse is, at times, extraordinary. Most of the time, I urge all of my gamer friends and acquaintances to spend the extra $20 or so to get a dramatically better mouse if they plan to use it frequently and want something fairly long-term with lots of room to grow as gamers. Our handpicked list of the best wireless and optical gaming mice in the mid-range price makes MMO, RTS, MOBA, and FPS-experiences all the more enjoyable with tons of programmable functions and specially designed hand grips for performance optimization. Don’t get too cocky though—you’re going to find a lot of mid-range mice that are relatively inexpensive and affordable. We consider the mid-range mouse to fall into the highest tier of cheap mice in general. For serious gamers, an entry- or mid- range mouse just won’t do the job. If you plan on using your mouse every day for several hours at a time, all year long, then the best thing to do is to make an investment that will last you for a couple of years. After so many hours of usage, any mid-range mouse will decline in quality and durability. The last thing you want to do is purchase more than one mouse in a small period of time. I’ve done that in the past and it only resulted in spending hundreds of dollars on low to medium quality mice. The smart thing to do would’ve been to use all of that money on a high-end mouse to last me for several years, but, hey… ‘live and learn’. Take my advice, guys. Check out the next list for our handpicked high-end mice. In our list of the best high-end gaming mice for October 2016, we bring you the best mice you can buy for $100 or more. That’s like two to three medium-ranged gaming mice, and about 5 entry-level mice, which is precisely my point. When it comes to buying the gaming mouse, choose QUALITY over QUANTITY. Trust us, there is nothing else you can truly value in a gaming mice than quality. Lights, colors, cool shapes…none of it truly matters unless they are delivered with sheer quality that cannot be found elsewhere. So how do we choose a mouse based on its quality? Knowing what gaming mouse specs mean. Understanding yourself as a gamer. These two things will make you an informed buyer and help you in the decision making the process more than you may know. An epic list of the best gaming mice for $100 or more. If that doesn’t give you some faith in our ability to guide you through the buying process, then consider this: We prioritize three things in our criteria for the best mice in each respective price category. These include: price, sensor, and grip. To us, these are the bare essentials of mouse purchases. We want a mouse that will make our wallets happy, but we also want a mouse that will be accurate and fast while being one of the most comfortable mice we’ve laid hands on. Some of the mice below are also recommended by me, Ross Grittner. I’ve played Quake since 2003 and tried lots of mice in the last 13 years. So if you are in doubt about what kind of mouse you should add to your gaming gear, then check out this list. Our goal is to help you find the best gaming mouse. We hope this list helps you in your mouse buying journey. Our goal is to serve you by bringing honest, fun, and informative articles about the latest news in the gaming mice industry. Don’t forget to check out our lists for January and the months to come! The market is constantly expanding, so if you see a mouse that we have not included, please feel free to contact us or leave a comment below.